All of our land is contained within nature reserves. This means that there are some rules and regulations to take into consideration. 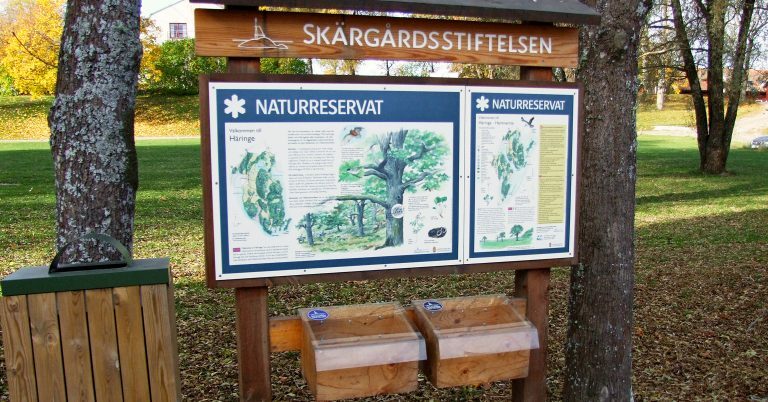 A nature reserve is a valuable area that is protected under the Swedish Environmental Code (SFS 1998:808). Nature reserves are encompassed by special regulations regarding protection and maintenance. The applicable regulations vary between different reserves, depending on the character of the area and what natural values are being protected etc. Each nature reserve has a maintenance plan that describes how the area is to be maintained in order to fulfil the purpose of the protection. How does the right of public access work in the reserves? In nature reserves, national parks and areas protected for flora and fauna, there are regulations limiting the right of public access. These regulations are adapted in order to protect the natural values that exist within each reserve or protected area and they can restrict the right of public access in various ways, but there are some rules that apply everywhere. Be careful with trees, bushes and other plants. Do not pick orchids or other protected plants. Leave flat rocks, blocks and stones untouched. Do not go too close to birds’ nests or young birds. Do not harm snakes, reptiles and amphibians. Do not visit bird and seal protection areas at times when access is prohibited. Always keep dogs on a lead. Do not make fires and keep a close eye on camping stoves and barbecues because of the risk of fire. It is strictly prohibited to put disposable grills in waste bins! Many of the foundation’s waste stations have special round metal receptacles labelled “För engångsgrillar” (For disposable barbecues). That is the right place to dispose of these barbecues. Do not disturb the peace of others with radios, CD players, musical instruments or similar. Camp or moor your boat for a maximum of two days at the same beach. If you stay longer, you must have permission from the ranger (special rules apply at Grinda, and Utö). Many buildings within the reserves are private. Do not walk into gardens or to buildings and jetties. Be respectful to agriculture. Do not step onto cultivated fields and close gates behind you. The county administrative board website has reserve decisions and information about regulations for the protection and maintenance or the foundation’s nature reserve areas.